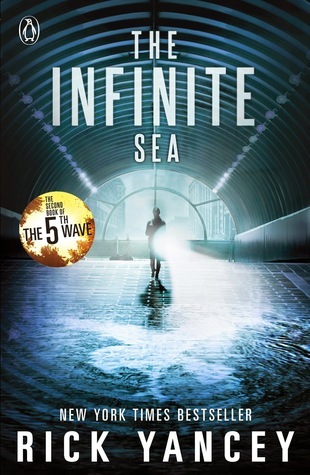 The Infinite Sea is the second book in the 5th Wave trilogy. 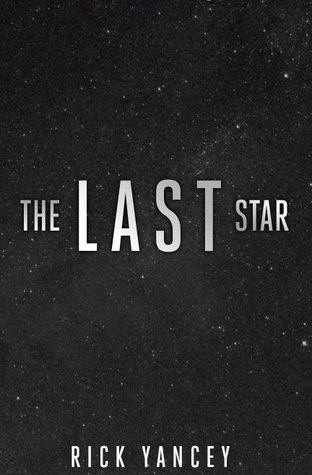 It’s pretty hard to review the second book in a series and keep it spoiler free so i’m going to leave the blurb to The 5th Wave then explain how The Infinite Sea carried the story on. I loved The 5th Wave which i gave 5 out of 5 stars. You can’t trust that people are still people. I mean, that pretty much explains it. It starts off with Cassie running away from Them. She believes to stay alone is to stay alive…but that’s until she meets the beautiful, not-human, alienly hot thing Evan Walker. A lot of characters are introduced in the first book and you learn much more about them in The Infinite Sea. A large part of the book was in the POV of Ringer and you really got to know her and much more about her life before the invasion. We also get inside Poundcake’s head which was interesting to read. I didn’t love Cassie as much as i did in the first book but i guess that left space to love Ringer right? I know some of you hated her whilst reading The 5th Wave but you’ll definitely warm to her in this book. There was a serious lack of Evan and his beautiful alieneness in this book, as well as his relationship with Cassie. In fact, their relationship went downhill in this book which irritated me . But you meet a few new characters like Razor (swoooon) and Grace (ughhhh). This book was great, it was really thought provoking and full of action like blowing up houses, jumping off helicopters, stabbings in the bath (sounds great right?!) It was so unpredictable, you never knew what was coming. I coudn’t turn the pages fast enough. I was already around 50 pages in but i stayed up the next night finishing this book. I was engrossed in this story from beginning to end. Not a moment passed where i wasn’t 100% enthralled. It was full off mind-blowing twists! A truly captivating read, loved it. Rick Yancey has done it yet again.I really hope the third installment will be longer, i believe it’s coming out soon? Or next year? I have no idea, let’s hope it’s soon. Check out The Infinite Sea on goodreads! Posted on May 22, 2015 June 6, 2015 by manyreads	This entry was posted in Book Review. Bookmark the permalink. I actually don’t really like Ringer! I don’t know why! She just bugs me… I think maybe it’s because I’m predicting she’s going to end up with Ben, but HE DESERVES BETTER! Loved the review! Oh, and CAN YOU BELIEVE THAT THE 5TH WAVE MOVIE IS COMING OUT IN JANUARY!?! AHHHHHH!!!! Thanks! Aww, haha. I didn’t mind her being with Ben because I felt guilty for shipping Cassie with Evan and I guess I used Ringer as an excuse to not have to ship Cassie and Ben – if that even makes sense haha. And I know rightttt! I cannot wait for the movie!!!!! I read the first book but I haven’t gotten a chance to read this one yet. I’ve heard a lot of mixed reviews and yours adds one to the good side…. I didn’t like Cassie that much in the first book and it looks like I won’t like her much in this one either. And hearing that their relationship kinda went downhill…. I don’t know if I’m excited about that or not lol.